Ok recently I've become very interested in the Stands from the Jojo's Bizarre Adventure series and I've decided to try and create my own. Any advice would be appreciated. Here's the basic layout I'm working rom set by the series. I'm going to try my best to try and make this stand balanced. Then I consume it. Yes I eat the fossil. My stand grants be the power to consume a fossil without hurting myself of making myself ill. It dose nothing to improve the flavour though. Upon doing so I can the summon any part of the skeleton of the creature to whom that fossil once belonged. 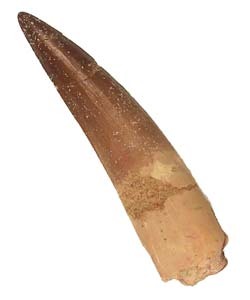 So from this one tooth I can summon a full, fossilized skeleton of a spinosaurus and manipulated as I see fit. The most basic use of this stand is to summon and command the skeletal beast to attack others, however Bigger Than T. rex's abilities are far more diverse then that. For example I can simple summon a single rib and reshape it into a sword like structure, summon its teeth and use them as projectiles, summon an arm to swipe at someone behind me, use fossil parts to create armour etc. I'm able to levitate my manifestations within my range. I can summon multiple fossil dinosaurs although this varies based on size. 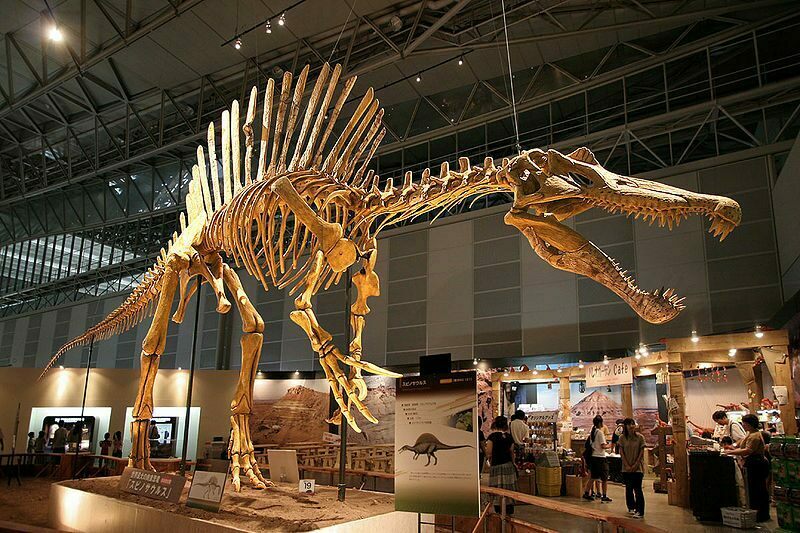 Bigger Than T. rex's greatest ability is "Fossil Golem". Power: When summoned, the Fossil Creatures wield all the power they had in life, if unaltered. I gain enhanced strength when using Fossil Armour. Fossil Golem is the most powerful manifestation of my stand's power. Speed: This primarily relates to the speed at which I can summon Bigger Than T. rex's manifestations. Instantly, as soon as I will it they appear. Fossil Creatures are as fast as they were in life, I gain enhanced speed with Fossil Armour and Fossil Golem's speed will vary based on construction. Range: I can manifest Bigger Than T. rex's power within a 50 meter radius of myself. However I'm limited in how much I can summon at once, based on the manifestation. Starting out, summoning a single large theropod was taxing but with time I could summon 4. The basic outline for summoning numbers is Human Sized or Smaller (up to 27), medium sized (10 to 6), large (2 to 4) and huge or Fossil Golem (1). Bits and pieces varie. Durability: Bigger Than T. rex's defences are of the highest quality. Precision: Bigger Than T. rex grants me no boost to my perceptive skills, it's all down to me. My manifestations have no will of their own and simple follow my commands blindly. My control over them varies on my concentration, I cannot have them perform complex tasks if I'm focused primarily on something else. Development Potential: My stand's potential for growth is low. Consuming more fossils dose not count because while doing so provides me with a larger arsenal to draw from, it doesn't improves on my stands abilities. While the original stands were named after taro cards, most others since then are normally named after songs and bands. I followed this trend, after a fashion, with my own stand. Bigger Then T. rex is named after my favorit piece of music from Dino Crisis 2. Abilities: A gun type stand based on a grenade launcher. Can fire an kind of ammo the user desires. Known ammo types: Explosive, Napalm, Acid, Nitrogen, Gas, Electric, Flash, Fragmentation, Toxic, Mutagenic and Atomic. Point Blank Summon: Is summoned directly into the users hand. Weaknesses: While very powerful it functions pretty much like any grenade launcher.